Lots of people me meet confess that they dream of dropping everything to cycle around the world. By embarking on this new adventure we hope to discover the strange and new and escape the routine that we have become accustomed to. We discovered in recent years, from our few travel outings, that we enjoy the foreign lands, the different cultures and lifestyles and chance meetings with locals more than the big ticket attractions. By travelling slowly (like the turtles…)on bikes, we hope to enjoy not only point A and point B but every inch of the way in between. We want to smell the flowers, feel the breeze, be warmed by the sun, be refreshed by the rain, and laugh with the people along the way. 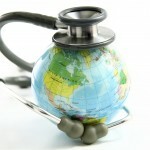 We plan to travel simply and within our financial means and our physical capabilities. We have no definite route, and no time constraints…when we’ve had enough, we’ll stop; until then… we pedal. Many more people stick with the status quo. They write from time to time to say they’re still dreaming of a tour, but a new job or a big move or the kid’s schooling has gotten in the way. I realize there are legitimate reasons for foregoing a bicycle tour. Some people have financial obligations that stand in their way, others are committed to partners or families who don’t share their dreams. 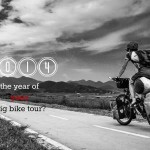 Why haven’t you set off on your dream tour? Is it money that’s standing in the way? Granted, these are tough economic times for many of us. But I don’t see the market for i-phones, $4 cappuccinos and SUVs drying up any day soon. 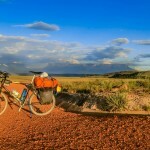 Bike touring is cheap (if you want it to be). We just spent 3 months touring Australia. Total cost…$1,500. Really. $8.30 per person per day. In one of the most expensive countries on the planet. Wow! $8.30 a day. That’s cheap, you’re probably thinking. A crappy calorie-filled lunch at McDonald’s costs as much. $10 a day is enough to do a minimalist bike tour (wild camping, couchsurfing, self-catering) in a developed country. For $20 a day you can live comfortably (budget hotels, restaurants) in the developing world. As I see it, money shouldn’t stand in the way of a bike tour (at least not for most people living in the developed world). Get a decent job, live a minimalist lifestyle (without depriving yourself of any happiness) and save. Maybe it’s time that’s stopping you. You need to focus on your education or your career and don’t have time to travel. Fair enough. Unless you’ve been dragging out the same excuse for the past 10 years. If bike travel is a serious goal for you, make it a priority. Since our society doesn’t prioritize travel, we have a tendency to put it on the back burner. Most people say they’d love to travel more. Yet, they don’t do it. Why? Because they’ve bought into the idea that extended travel is unobtainable. Sure, freelancers with high-paying jobs can travel round the world. And retirees with fat pensions can take off for a few years. But me? No way! I’m here to tell you that you can. If you really want to. Choose 6 months in Southeast Asia over a flat screen TV. Give car-free living a try and see how big your bank balance has grown by the end of the year. Don’t give in to fear mongerers who warn you that you’ll never again be employable if you take time out for travel. 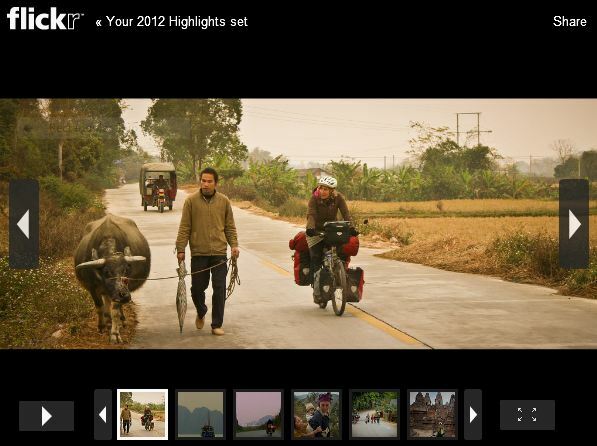 Justin and Emma took time out for a multi-year bike tour across Asia. They’re now back in New Zealand–gainfully employed and enriched by their experiences abroad. The Berg brothers of North Dakota spent nine months cycling between Alaska and Argentina. Did a gap year throw a wrench in their futures? Absolutely not. Youngest brother David is in his first year of college. Nathan is busy pursuing a career in music and big brother Isaiah is getting in shape for Marine Corps Officer Candidate School. Brits Becki and Matt set off with a toddler in tow for an 8-month bike tour and have settled back into life in Manchester. What’s my point? People who take time out for cycle tours don’t end up down and out in a homeless shelter once they return to “normal life.” They earn degrees, find meaningful work and go on to raise families. Those closest to you may find the idea of extended travel absurd. They’ll cart out the usual reasons why you should stick around not rocking the boat. Go ahead, listen. Then talk to someone who’s experienced the magic of bicycle travel. Somebody like Martin or Pierette. Now i see you changed the year to 2013! I would say it is always a good time to go biking! I LOVE your website, and the stories. I am reading with high interest. Especially ”how to save up for a world biking tour”. Good tips! i’m already applying them! First of all – hats off to you for getting to over 6 years. We are in Thailand at the moment and have just gone through our 2 years on the road marker. We should be back in Europe if all goes well in Oct this year. Any ideas on where we should head for then – Argentina? Very nice website! Thanks for all of the useful information. I’m in Vietnam now trying to decide if I should buy a bicycle to take with me on the rest of my trip through SE Asia. I’m a female traveling alone. Do you think I would be safe in Vietnam, Laos and Northern Thailand? I also have my hammock that I plan on sleeping in whenever I find a spot to hang it.